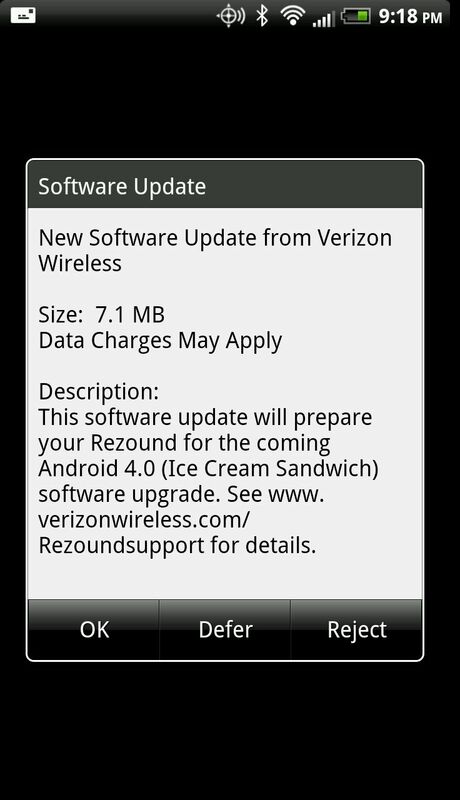 If you have yet to receive the official Ice Cream Sandwich update on your HTC Rezound, we wanted to let you know that the update will actually arrive in two parts. The first is a 7.1MB file that is used to “prepare” your device to receive Android 4.0. The second, is 299MB in size, and is the actual ICS update. When you see the first small one, try to contain yourself – there is one more to follow before your device leaves Gingerbread for good. To see the full changelog, be sure to check out this post. Cheers Reece, Ryan and everyone who sent this!